Thomas D. Heath has been involved in all sectors of the real estate industry since 1961. Mr. Heath began his career in real estate as a sales agent. In 1963 Mr. Heath accepted a position in the real estate lending department of The Bank of California. 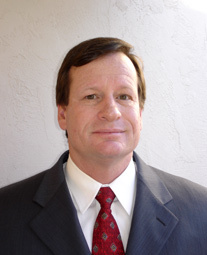 During his nearly 15-year tenure with The Bank of California, Mr. Heath held several management level positions including Chief Appraiser of the Southern California Division, Real Estate Loan Officer, to finally assuming the position of Senior Vice President, Division Manager of Bancal Mortgage (a subsidiary of The Bank of California). Upon the decision of The Bank of California to divest of Bancal Mortgage, Mr. Heath and another senior level associate approached Bowest Mortgage (a subsidiary of The Bowry Savings Bank) to enhance the existing loan acquisition arm of the company. During his stay at Bowest Mortgage, loan acquisitions catapulted from $260 million annually to over $600 million annually in just under a three-year period. Mr. Heath took this success at Bowest Mortgage to his new position as Loan Acquisition Division Manager of United First Mortgage which eventually became Merrill Lynch Mortgage. As a Construction Loan Officer at The Bank of California, Mr. Heath developed a relationship with Emil Fish of Fish Construction Company. While maintaining this relationship, Mr. Heath developed an entrepreneurial desire to start his own business. This led to the formation of Pre-Construction Development Corporation which was jointly owned by Heath and Fish. The goal of this newly formed company was to purchase unentitled raw land, render the sites to their highest and best use, and create value through the entitlement process for either in-house development or resale. The success of this company led to the formation of Advanced Savings and Loan. While President and Chief Executive Officer of Advanced Savings and Loan, Mr. Heath created and administered two subsidiary corporations, ASL Financial and ASL Mortgage. Mr. Heath operated the parent institution and its two subsidiaries for seven years, leaving in 1989 after realizing that the re-regulation of the savings & loan industry was prohibitive to profits. It is important to note that Advanced Savings and Loan and all of its subsidiaries met all the newly instituted FIRREA regulations and capitalization requirements upon his departure. Upon leaving Advanced Savings and Loan, Mr. Heath took advantage of his several appraisal designations, including being a Member of the Appraisal Institute (MAI) designation achieved in the 1980's, to found The Heath Group in August of 1989. Mr. Heath is currently an MAI and SRA designated Real Estate Appraiser, a licensed California Real Estate Broker, and a FNMA and FHLMC Approved Appraiser and Underwriter. Mr. Heath holds a Bachelor of Science Degree in Finance/Real Estate from the California State University at Los Angeles, a Certificate of Real Estate from the University of California at Los Angeles, and is a graduate of Northwestern University's School of Mortgage Banking. 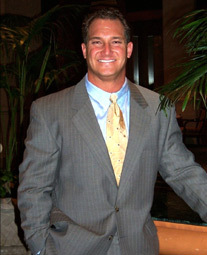 Sean Heath has been associated with The Heath Group since its beginning in 1989. Sean has a Bachelor of Arts Degree from the University of California San Diego in Literature with a minor in Psychology. He has interned with Advanced Savings and Loan in the loan processing area from 1986 to 1988 while attending UCSD. 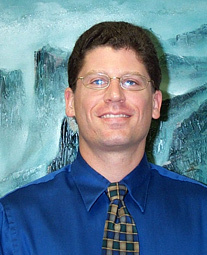 Sean has fifteen years experience in the appraisal field and is a State of California Certified Residential Appraiser. In addition to gaining experience with all forms of residential and commercial appraisals, Mr. Heath has focused on residential subdivisions, and telecommunication-site appraisals. To date, Mr. Heath has appraised numerous residential tracts in San Diego, Riverside, and San Bernardino counties—including two tracts in the noted PGA West golf-course development in La Quinta. His telecommunications experience covered sites on Camp Pendleton, the Navy’s CBC Port Hueneme, and NAS Point Mugu, and assignments for the National Park Service. Other notable assignments included a proposed marina in Coronado, California, the Hard Rock Café commercial/retail complex in La Jolla, and an old Victorian hotel/movie-location set in Ventura County. Mr. Heath is an approved FHA appraiser, and is an Associate Member of the Appraisal Institute. He is also a member of the International Right-of-Way Association, and is the Editor of the San Diego Chapter’s newsletter. In addition, Sean has published the following articles on appraising. Mark Warner has earned a Bachelor of Science Degree in Business Administration from University of San Diego. Over the last fifteen years, Mr. Warner has continued his advanced education through leading organizations such as the Appraisal Institute and the Realtors National Marketing Institution. Mr. Warner is currently a Candidate to become a member of the Appraisal Institute. Mr. Warner began his extensive career in commercial real estate in 1980. As an associate with Cotton-Ritchie Corporation in downtown San Diego, Mr. Warner specialized in the leasing and sales of commercial properties and apartment complexes. As a broker, Mr. Warner was the top producer for six years, successfully closing over 200 real estate transactions with a combined value of over $75,000,000. In 1987, Mr. Warner initiated the formation of JAD Properties. Here, he operated the company as President and Co-Owner. The firm managed 850 apartment units and 20,000 square feet of office space. Mr. Warner was responsible for the 35 employees as well as all of the firm’s property management obligations. In addition to management, the firm specialized in the renovation of apartment projects, brokerage, and syndication of apartment projects. In 1990, Mr. Warner reorganized the Wheatcroft Company. At this firm, Mr. Warner was responsible for the management and leasing of 385,000 square feet of office space and 77,000 square feet of retail space. Over the last thirteen years, Mr. Warner has focused his expertise in the valuation of real estate. Through his involvement with The Heath Group and the Berger Company, Mr. Warner has appraised a wide variety of properties, including industrial buildings, office buildings, apartments, and special use properties. Concurrent with his professional endeavors, Mr. Warner owns and personally manages his own real estate portfolio and is a member of the San Diego Apartment Association. Robert Fry has been an associate of The Heath Group since 1990 and in the real-estate industry since 1983. Mr. Fry holds a Bachelor’s of Science Degree in Business Administration with a direct emphasis in real estate from the University of Southern California and also holds a Professional Certificate in Real Estate Development from the University of California at San Diego. While attending the USC’s School of Business, Mr. Fry worked as Acquisitions Analyst for Cantwell-Anderson, Inc., a Los Angeles-based real estate investment and development company. While with Cantwell-Anderson Inc., Mr. Fry formed Fry & Company, a strategic real estate planning and analysis firm. Fry & Company’s initial mission was to provide the real estate investment and development industry with strategic financial analysis and long-term planning and portfolio strategies. Over the years, Mr. Fry has also become involved with the land use planning and processing of extensive master-planned developments, both residential and commercial. In 1987 and 1988, Fry & Company was a consultant to Southwest Diversified, Inc. (Coscan Partners of Canada) for the successful land use planning and entitlement processing of La Vina, a 330-acre master-planned development in Los Angeles County. While still residing in the Los Angeles area, Mr. Fry also held the position of Acquisitions Manager for Pasadena Development Corporation “PDC”. In mid-1990, Mr. Fry relocated to the San Diego area and formed a relationship with Thomas Heath. While working with The Heath Group, Mr. Fry took advantage of an opportunity to work as Director of Acquisitions and Development with The Caster Companies, a San Diego-based real estate investment and development company with properties throughout California and Nevada. The Caster Companies are also the owners and operators of the A-1 Self Storage chain of mini-warehouses. While with The Caster Companies, Mr. Fry’s duties included the analysis and acquisition for development of both commercial and industrial properties, including a proposed 100-acre master-planned commercial development in East San Diego County. This project is anticipated to come on-line within the next five years, and will include up to 300,000 square feet of industrial property, a 200,000+ square foot specialty retail center, and a water-based recreational facility. In addition to these responsibilities, Mr. Fry, was required to strategically plan long-term holding strategies for all the properties under The Caster Companies’ portfolio. These properties are currently worth in excess of $75 million and total more than 8,000,000 square feet of commercial and industrial property. Mr. Fry is a member of the University of Southern California Alumni Association, the Urban Land Institute, and the International Council of Shopping Centers. Mr. Fry is also the President of Emerald Pacific Properties, a San Diego based Real Estate Investment Company. Mr. Fry’s diverse background including real estate investment and development, leasing and marketing, property management and operations, and financial analysis helps bring a well-rounded exposure and relationship base to the team at The Heath Group. Proficient in the appraisals of residential properties to include luxury single-family, housing tracts, apartments and condominiums. Responsibilities include the development and preparation of all forms of residential appraisals including single-family, condominium, new construction, small income and vacant-land assignments. Responsibilities include the development and preparation of residential appraisal including single-family, condominium, and small income assignments. Achieved a 4.0 grade point average in all the following Real Estate classes; Principles, Appraisal, Finance, Economics, Practice and Law. Uniform Standards of Appraisal Practice, Part A (Passed). Over 12,000 Hours of assistance with Real Estate Appraisals including Commercial, Industrial, Land, Storage Facilities, Greenhouses, Apartments, Property Development, Medical/Dental Offices - Assistance includes data collection, report assembly and additional administrative support. Thirty four years experience associated with the operation, maintenance, testing, training, administration, quality control and supervision of nuclear, diesel, and fossil fuel electrical generating plants. Thirty two years nuclear experience and over twenty years experience in the area of quality assurance and control. This experience has resulted in a broad range of experience with equipment, programs and personnel. Emphasis - Computer Information Systems. Nuclear Oversight Division, Quality Assurance - Assisted in the startup and transformation of SONGS, Unit 1, 2 & 3, being average performing nuclear generating units to the late 1990's performance which lead the nation in generation, safety and reliability. Assisted in the development and implementation of training San Diego County, Section 703 ASQ members (local business employees) in the area of Quality Auditing. This training has been given to many different companies in the Southern California area. Putting PEP (consideration of People, Equipment, & Programs) into your Quality Audits. Problem Identification Pro-Activity Factor - Conception of a new parameter for the measurement of an organizations proactive posture regarding their self assessment efforts in the early detection/correction of root causes to problems. Nuclear Achievement Award - For Compliance and Exemplary Teamwork. 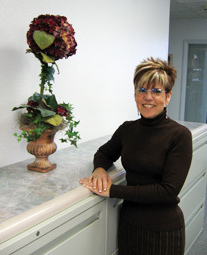 Sondra is the office manager at The Heath Group. She brings over 25 years of experience in all facets of management to this position. She is very people oriented and has a strong self-direction and follow through. She has been with the Heath Group since September 2000. Prior employment positions include Jaguar Homes where she was a real estate sales associate for custom built homes. Prior to this position she was a show assistant for Joico Laboratories. In this position she assisted the show manager in interfacing with all distributors, production staff, and model agencies. She booked guest artists for distributor shows and coordinated the shipment of wardrobe and show displays. Sondra also worked at Golden State Bank as Vice President for Administration and Personnel. In this position she reported to the President to assist with the organization and relocation of a new corporate office from Sherman Oaks to Irvine, CA. Other responsibilities included office operations, branch acquisitions, regulatory and security compliance, personnel and payroll administration, administrator for corporate Insurance to include fidelity bond and director and officer’s insurance. Sondra held a similar position at Advanced Savings and Loan where she was a Vice President. Here she worked with the owner and president to organize and open the savings and loan. She was also involved in the organization and implementation of the subsidiaries of the saving and loan. Other duties included supervision of corporate operations, branch openings and most important, primary interface with the association regulators. Sondra also has experience in researching land sites, making offers for purchase and coordinating offsite engineers, city and county staff regarding planning, zoning and obtaining conditional use permits, where required, for land purchased by Fish Construction Company for ultimate development. She was also in charge of customer relations for seven projects developed by Fish Construction which included condominium, townhomes, and single family detached housing tracts. 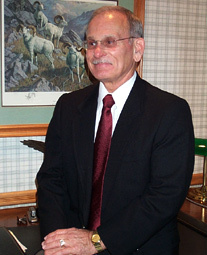 Larry Durbin has been associated with The Heath Group since July of 2000. After retiring as a Captain with United Airlines and selling his real estate business, he came to our company as a real estate analyst. Larry attended the University of Idaho on an NROTC scholarship. After graduation in 1962, he spent five years as a Navy fighter pilot. Since then he has been very active in several phases of the real estate and real estate franchise industry in addition to spending 33 years as an airline pilot for United Airlines. He earned a real estate broker’s license in Illinois in 1969. Three years later, he co-founded Durbin-Stovall Associates. During the ten years of his ownership, the company grew to become the second-largest real-estate firm in the with offices in four cities, specializing in single-family residential sales. He and his partner developed several unique programs including a home trade-in plan, rent-while-you-shop, and rent-while-you-build. He also served as the Midwest Region Director for the Realty World franchise covering Minnesota, Iowa, Illinois, Kansas, and Missouri. He founded Crystal Lake Appraisal Service. Although he is no longer involved in the company, it is the largest appraisal company in the county. He is a Graduate of the Illinois Realtor’s Institute and was a charter member of the American Association of Certified Appraisers. James Bray is a recent addition to The Heath Group. James is a graduate from the San Diego State University, where he holds both a Graduate Degree in Economics and a Bachelor’s Degree in Economics and Finance. As a graduate student, James’s main area of study was the formulation of econometric models and conducting statistical analysis. Over the last several years, James has continued his education focusing on real property valuation. James began his career in commercial real estate with The Costar Group. As a real estate analyst, he published numerous news articles and market reports, conducted analytic research and maintained one of the largest portfolios of office and industrial properties. James received multiple awards recognizing his contribution to quality and excellence. James also, worked with West Coast General Corporation, specializing in both civil engineering and construction management based in Poway, CA. 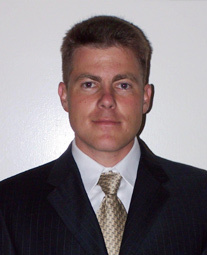 As a cost estimator, James was successful in bidding many public works projects in San Diego County. Notable projects include the runway/taxi-way expansion of the McClellan-Palomar Airport in Carlsbad, Grossmont College Drive Improvement Project in El Cajon and the Miramar Road Expansion in San Diego.